In 1986, I started to work at the Norwegian Council on Tobacco or Health under one of the giants of international tobacco control, Dr. Kjell Bjartveit, who led the council for more than 20 years. Ever since, I have been involved in tobacco control and –research, working from different places including the University of Oslo, The Cancer Society, Institute for Alcohol and Drug Research (research director for the tobacco unit for 12 years) and Institute of Public Health (current). UNICEF has written to the (increasingly discredited) journal Pediatrics. The complaint regards “serious inaccuracies and misrepresentations” made by the authors. 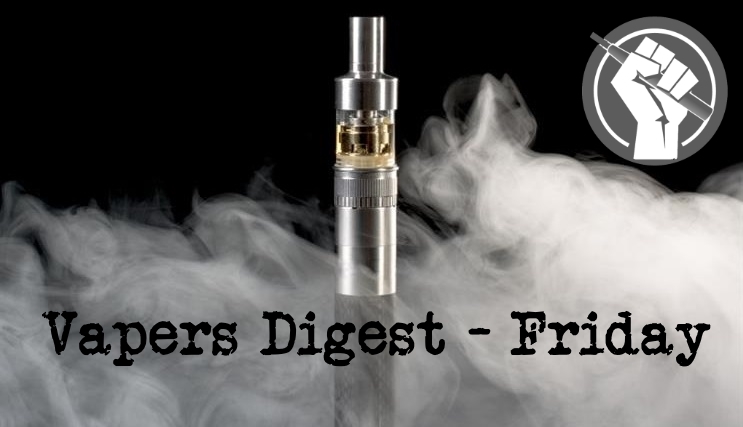 It follows widespread condemnation of the gateway from vape to smoking study and demands that it is retracted by the journal that is acting deplorably. Benjamin Chaffee, Shannon Watkins, and Stanton Glantz wrote the risible study ‘Electronic Cigarette Use and Progression From Experimentation to Established Smoking’, demonstrating a woeful grasp of statistical analysis and concluding: “using e-cigarettes was positively and independently associated with progression to current established smoking”. Not that long ago, if a company had invented a far safer way to deliver nicotine to addicted smokers, politicians would be celebrating. Smoking is one of the leading preventable causes of disease and death in the world. If every smoker quit cigarettes today, we would have a healthier society, and healthcare costs undoubtedly would decrease. That’s a win-win. AEI scholar Dr. Sally Satel has yet another must-read article in today’s Wall Street Journal about how the moral panic over e-cigarettes is clouding judgment on an important public health issue—how do we help the roughly 37.8 million American adults who currently smoke cigarettes quit the habit for good or switch to less harmful e-cigarette products. How Much Does the FDA Really do..
A man in America died when his vape pen exploded, but how dangerous are e-cigarettes? The case has made headlines around the world, and is believed to be the first death caused by vaping products in the US. The man, Tallmadge D’Elia, died at his home in Florida when his device blew up and projected fragments into his skull. He was said to have suffered burns over 80% of his body. Tallmadge D’Elia was found in a burning bedroom at his family’s home on May 5th. The autopsy report placed the blame on an exploding vape mechanical mod. It is imperative that manufacturers and users learn lessons from this avoidable disaster. D’Elia was born in Maryland and demonstrated a skill for photography and film work as he grew up. After the talented outdoor enthusiast graduated, he forged a career that used his camera skills, becoming a specialist and then Technical Production Supervisor for divisions of NBC Universal. Between a Starbucks and a kebab shop on Toronto’s busy Yonge Street retail corridor, the words “inventing a smoke-free future” appear on the window of a sleek, silver-fronted store. Inside, gadgets resembling Apple products are neatly arranged on wooden tables. “Are you currently a cigarette smoker?” the saleswoman asks, showing off the IQOS, a device slightly larger than an index finger that looks like an electronic cigarette, but uses sticks of tobacco rather than liquid to create a smoke-like vapour. The Tobacco Harm Reduction Association of Canada (THRA), has released a provisional position statement on electronic liquid vaporizers (ELVs), Heat Not Burn devices (HnBs), and other tobacco harm reduction products which are manufactured by the vaping & tobacco industries. The THRA opened its statement by explaining the differences between e-cigarettes and HnB devices, adding that despite the fact that vaping products contain no tobacco, they tend to be labelled as tobacco products. They may have had a tough month, but tobacco giants Philip Morris International (PMI) have won a small but significant victory in the marketing battle over their flagship heat-not-burn product. In New Zealand, the Ministry of Health decided against appealing the decision by a Wellington court earlier this year which gave the green light for electronic cigarettes to be imported, sold and distributed. Smoking remains an enormous public health problem in the U.S. Cigarette smoking is the leading cause of preventable death in this country. According to some studies, more than half of longtime smokers will die from smoking-related complications. David Abrams, a professor at New York University’s College of Global Public Health, estimates that 1,300 people die from smoking every day. Jenni’s story is common. In 2015, nearly 70 percent of smokers in the United States tried unsuccessfully to quit. Their inability to stop comes with considerable health risks. While Italy’s 5-Star Movement and League party left financial markets gasping on Friday with promises to raise government spending dramatically, users and producers of electronic cigarettes were breathing more easily. The Association of Vapers India (AVI) has struck out against what it sees as the use of junk science to justify the ban on vaping in the northern Indian state of Jammu and Kashmir. Meanwhile, as the state continues to attack harm reduction and common sense, cigarettes remain freely available and on sale. Singapore has been at the forefront of tobacco control measures, but the proportion of smokers aged between 18 and 69 has stagnated at 13.3 per cent since 2013. Half a decade is long enough for us to recognise that our measures need tweaking. I agree with the Ministry of Health that there is no conclusive evidence on the safety of e-cigarettes (No doubt about harmful effects of e-cigarettes; Feb 27). The Tulsa County Sheriff’s Office is on pace to make $800,000 in its first year running the jail commissary, driven by sizable markups on convenience items sold to inmates. Nine in 10 of the products sold — from potato chips to combs — are marked up at least double (100 percent) what the Sheriff’s Office pays and half are at least triple (200 percent). Carrie Wade penned an article titled “What anti-smoking advocates can learn from the opioid crisis” for the Washington Examiner, and received praise. The Mail On Sunday wasn’t so lucky as its contribution to the vape debate was called “flippant”. Inside Sources asked if vaping could be the “most significant public health benefit in a generation”? Meanwhile, Conscience Health laments that scientific debate is collapsing into a mess of ad hominem attacks and, worse, it works in persuading the public. ITV’s Chris Choi is today asking for thoughts on the new regulations being brought in at the end of this week as a result of the EU’s appalling Tobacco Products Directive which was presided over by a crook. Doctor Konstantinos Farsalinos is a research fellow at the Onassis Cardiac Surgery Centre and University of Patras in Greece. He is very well known to long-term vapers for having been an outspoken supporter of harm reduction, his research work and his love of vaping. He recently made a plea to law makers in the Philippines to take the pragmatic route and factor in the value of harm reduction.